#1 CRM Choice for 100K+ Companies! 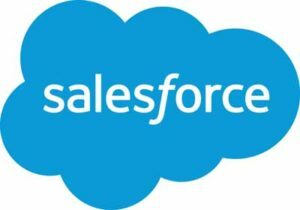 CEPTES is Salesforce’s registered partner. Salesforce is world’s #1 CRM platform and one of the top enterprise solutions platform, where we build our products and enterprise solutions. This partnership aims to provide technology advantage to global enterprises across various industries. Our partnership ensures competitive edge by leveraging our robust solutions and aligning it with fast evolving market trends. CEPTES & Salesforce business unit offers world-class expertise ranging from consulting and integration to customization and implementation in order to help businesses in all domains. CEPTES has positioned itself as a trusted Salesforce consulting partner for various global enterprises by offering a full spectrum of Salesforce services like integration, custom development, migration, implementation, lightning services etc. to enable organizations, leverage the full potential of world’s #1 CRM platform. Contact us to find out more about how we can optimize your business with our Salesforce expertise. We understand the business requirements of different business models when it comes to Salesforce implementation. We focus on optimizing business efficiency and consulting each client achieve the most out of the platform. CEPTES has an extensive expertise in implementing Sales Cloud, Marketing Cloud, Service Cloud, Commerce Cloud, Platform Cloud and Analytics Cloud. CEPTES is recognized as one of the top-notch Salesforce Integration service providers to global enterprises. Our certified Salesforce consultants will help you integrate your data, process, and UI seamlessly with your existing applications.